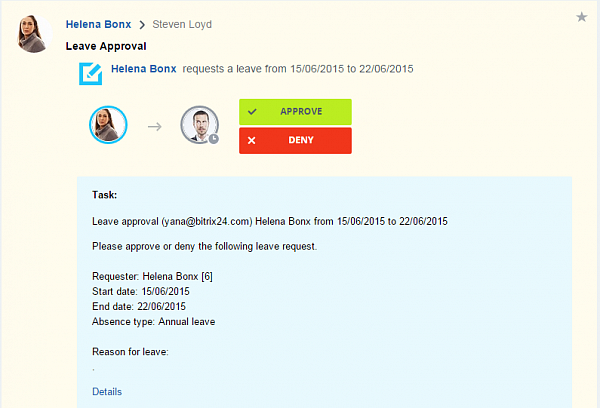 Leave Approval – request a leave quickly with no paper needed. Requests are first approved by the department head(s) and then sent for processing by an HR manager. 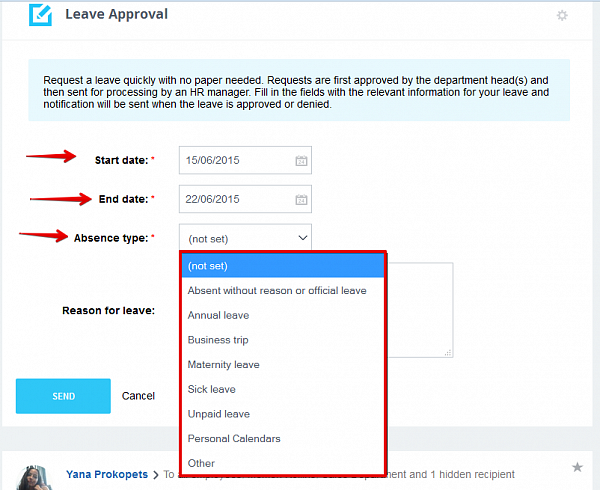 All you need to do is fill in the fields with the relevant information for your leave and notification will be sent when the leave is approved or denied. 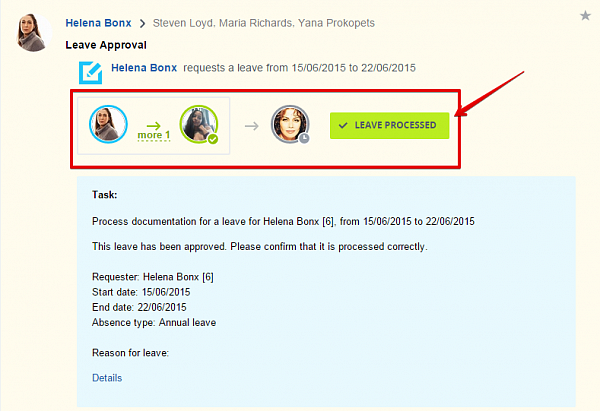 Business Trip – get a business trip approved and processed completely with this workflow. The approval process goes up the company hierarchy and then accounting processes the documentation. You will receive notifications as the approval moves forward. 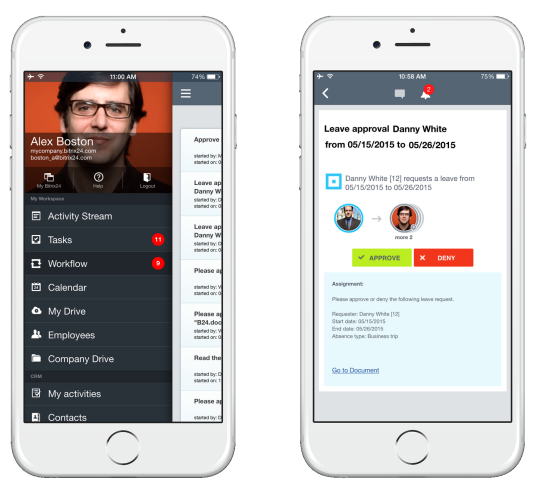 General requests – send any type of request to the employee that you indicate. 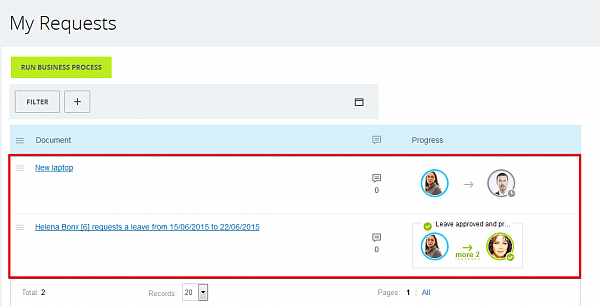 Purchase requests – create a purchase request and send it for approval. Include information and documentation concerning the purchase. Expense report – submit an expense report for approval via the company structure. If you are going to a business trip or vacation, you can assign your current workflows to another user. Please note that these Workflows are not connected with the Business Processes available in the CRM, Company Drive & Lists. 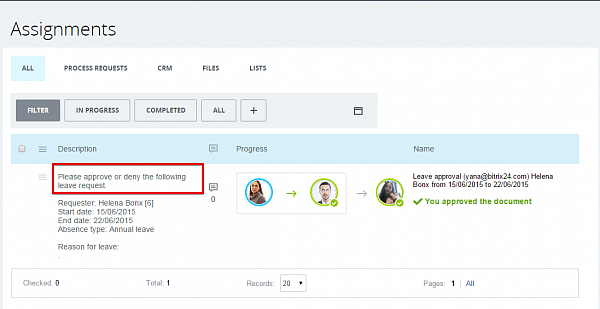 Workflows are new type of processes, approvals (disapprovals) and statuses of these processes will be displayed in your Bitrix24 Activity Stream. Workflows are available in all plans, including the free one.